This last September, the United Nations Development Project (UNDP) hosted the 3rd annual Global Goals World Cup. UNDP Goodwill Ambassador Nikolaj Coster-Waldau joined Norway’s Crown Prince Haakon, and the Prime Minister of Norway, Erna Solberg to support some of the world’s coolest amateur athletes. 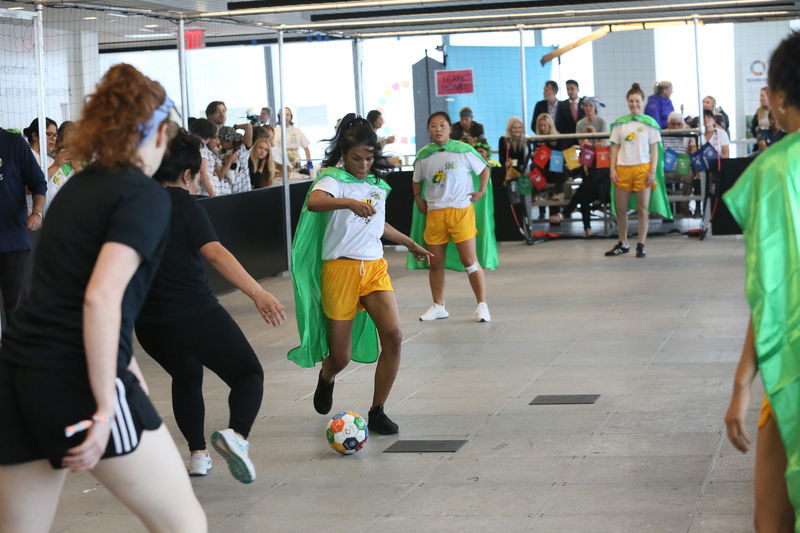 The tournament brought together 16 amateur women’s soccer teams to rally around the Sustainable Development Goals (SDGs). Each team picked a specific SDG to support and represent on the pitch. The goals address critical issues including poverty, hunger, health, education, gender equality, and climate change. This year’s champions, Goleadoreas from Queens, New York, championed SDG5, gender equality. 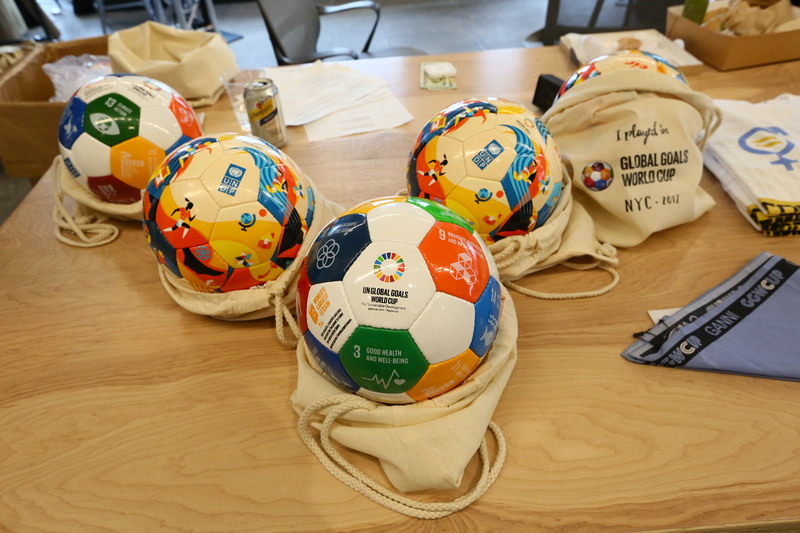 “This year’s Global Goals World Cup was such a success. Wherever the tournament takes place around the world, women answer the call to help achieve the SDGs. At the core of this is the women and the change they are making in their communities,” said Majken Gilmartin, founder of the GGWC. The journey to founding the Global Goals World Cup started in 2015, when Rikke Ronholt, star of Denmark’s Spart Athletics Team, started looking for ways to advocate for the SDGS. Slowly she began to see a plan for Denmark to host a women’s football tournament. Ronholt then teamed up with Majken Gilmartin, certified soccer coach, and expert in hosting athletics events. That’s when the first draft of the Global Goals Ball came to be. 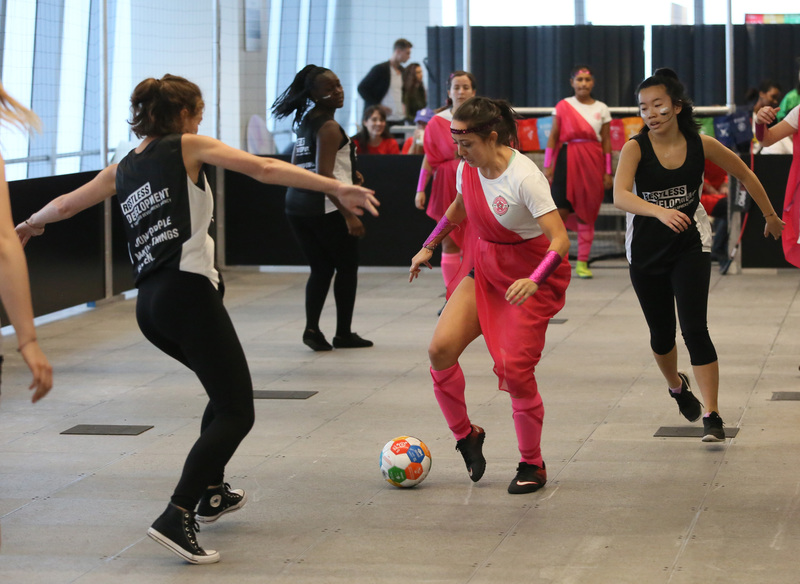 Alongside UNDP, the first Global Goals World Cup was held in Copenhagen at the Women Deliver Conference in 2016. This collaborative effort brought together Save the Children, the city of Copenhagen, the Danish FA and others to advocate for the Global Goals. The winning team, Team Bikespice Your Life, won the chance to compete at the first GGWC in New York City in 2016. This brought in new partners from the Social Good Summit, and the support of UNDP Goodwill Ambassadors. Since then the GGWC and Global Goals ball has traveled from NYC to Nairobi, Kenya, to Lausanne, Dubai, Bangkok, and many other locations. The journey is far from over also! Be sure to follow @ggwcup to see if the tournament is coming to a city near you. Together we can advocate for the SDGS on and off the field! Cynthia Sularz is a member of the Public Affairs team at the United Nations Foundation. Prior to joining the Foundation, Cynthia was a Fulbright Scholar in Dnipro, Ukraine. She graduated from Seton Hall University with a bachelor’s degree in International Relations & Modern Languages. She has worked abroad in Nerekhta, Russia, studied abroad in both Lublin, Poland and Freiburg, Germany, and participated as the United States Delegate to the 2014 G(irls)20 conference in Sydney, Australia. When not working in communications and international affairs, Cynthia is often found hiking in a nearby forest.